Blooming in the Spring, the graceful and simple tulips blossoms appear in all colours. Around the world people love tulips for many different reasons; the Victorians consider it a symbol of charity while the Turkish grew the flower as a symbol of paradise on earth. The Ottoman Empire plants the tulip bulb to remind them of heaven and eternal life. Over time, the dominant symbol of the tulip is its link to love and passion. With all of the different colours, meanings and sentiments associated with the tulip, it is no wonder than their popularity remains. 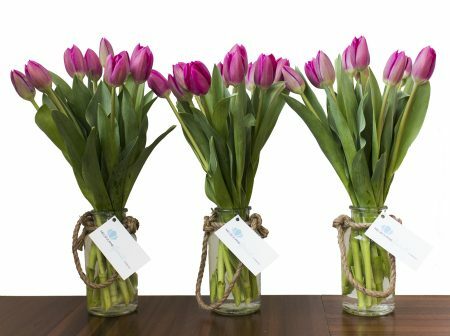 As one of the most loved flowers, a bouquet of tulips is sure to delight and enchant their recipient with their beauty.